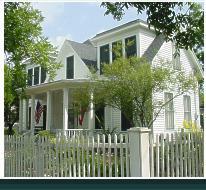 There are several major seasonal festivals, events and attractions in Cuero. 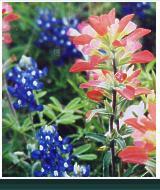 DeWitt County is officially designated the “Wildflower Capital of Texas” and April is known in “Wildflower Month”. Visitors can travel the lanes and byways to view some of the most diverse varieties of native wildflowers in one area anywhere in the state. Maps and further information may be obtained by contacting the Cuero Chamber of Commerce. 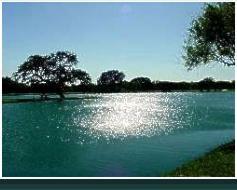 The annual Turkeyfest takes place the first full weekend of October in Cuero. The traditional festival includes a weekend-long carnival at Cuero Park and musical concerts by popular artists in the Park Pavillion. 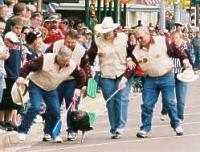 On Saturday is the world-famous Great Gobbler Gallop, a high-spirited turkey race between Ruby Begonia, Cuero's mascot bird, and Paycheck, the visiting competitor from our sister city Worthington, Minnesota. Following the race is the grand Turkeyfest Parade of floats and displays along and through the town's intersection of the two major highways. For more information, please visit the official Turkeyfest website. There are a variety of December events in Cuero, but perhaps the best known is Cuero's Christmas in the Park, a driving tour of lighted scenes and displays in Cuero Municipal Park which has received the Victoria Advocate's “Crossroads Best of the Best” award annually since 2012. Admission is always free, and donations from the public are accepted and help sustain and grow the event every year. Special days included “Hot Chocolate Nights” on Thursdays in December (excluding some holidays) and a Live Nativity on select weekends. For more information about Cuero's Christmas in the Park, please visit the website. Also, on Thursdays in December is Downtown Cuero's “Shop Late 'Til 8”, when businesses have extended shopping hours and promotions until 8:00 PM. For more information, please contact the Cuero Chamber of Commerce. And, a newer event taking place in Cuero since December 2013 is the Christmas in Downtown festival presented by Cuero Main Street, which features both free and paid activities for the whole family. For information about Christmas in Downtown, please contact Cuero Main Street.